Here is a place to hear some full versions of Ian's guest appearances. However, it may take a little effort on your part to put in the artist and song title. Excellent, thanks dan I haven't heard most of those so I'll have fun wading through them. The Thin Ice is on youtube as well now, and I have to say I think IA's vocal on this is absolutely brilliant. I love the way he spits it out with real venom, he got the mood of the song spot on. IA did a song with Joshua Kadison (he of "Jessie" fame) under the Mandoki banner called "Let the music show you the way" Some good IA vocals and flute work. If you can find it, it's well worth a listen. However, you have to type in Man Doki Soulmates. Make sure to leave a space between Man and Doki. Then scroll to find Let The Music Show You The Way. Ian did a lot of work with these guys which include members of Toto, Blood, Sweat and Tears, and Jazz guitarist, Al Di Meola. There is also a DVD called Legends Of Rock which Ian plays flute on a lot of classic songs including, Loco Breath and L.I.T.P. Many thanks to great Tull fan and our FB friend - Patrick Herubel for sending us this. Ian complained in some interview that JB blew his ears out...or maybe it was Martin. great collaboration ! Mike Portnoy has joined Ian Anderson and others in making a guest appearance on the upcoming double album from Tiles. The US prog outfit have confirmed their sixth record will now be called Pretending To Run, after it became a far more complex project than they’d originally envisaged. Guitarist Chris Herin says: “We knew this was ambitious, lyrically and musically, but we didn’t plan on it ballooning into a double album. The songs kept coming and the storylines demanded more trips into the central character’s state of mind. Among those also appearing are Colin Edwin (Porcupine Tree), Adam Holzman (Steven Wilson) Kim Mitchell (Max Webster) and Mike Stern (Miles Davis). Anderson – who appears at the inaugural Ramblin’ Man Fair in Kent in July – last year accepted a long-standing invitation to guest with Tiles, after he’d become a fan in 1999. The album was known as Other Arrangements at that stage. A release date has not been confirmed, although Tiles say they're "on the home stretch" with the work. Jake says he told the label, "If you're going to [release 'Coat Check Girl' as a single], then you're going to freak all the fans that we already have out." Warner Bros. simply chose to release the record's most commercial-sounding song, rather than the one that best distills the scope and vision of the band's most ambitious album to date. That distinction belongs to the bizarrely anthemic psych-prog cocktail "Black Cherry Pie." Perhaps the suits at the label got freaked out by a pair of flute solos Jethro Tull legend Ian Anderson contributed to the song. "That was almost, like, a joke [idea]," Jamin recalls. Anderson's son and manager told the band via email that if his father liked the song, he would do it. He liked it so much that he did it for free. The original punk poet, Dr John Cooper Clarke has collaborated with ex-frontman of The Stranglers Hugh Cornwell and Ian Anderson of Jethro Tull for a unique modern day take on the Jimmy Webb classic track ‘MacArthur Park’. With Ian Anderson of Jethro Tull on flute and John Cooper Clarke on vocals, they’ve re-worked this infamous song in the grounds of the MacArthur Park in Los Angeles. Jimmy Webb’s original version of ‘MacArthur Park’ went to No 2 in America and No 4 in the UK. The song was previously made famous by Richard Harris and has since been recorded by everyone from Frank Sinatra to Aretha Franklin and Donna Summers. Continuing to push boundaries with their music, this unconventional project sees a group of living legends join together to share their passion for this iconic song. John Cooper Clarke will preview the exclusive world premiere of this exciting re-work at his highly anticipated show at Manchester O2 Apollo on Saturday 21stMarch. Joined by special guests Luke Wright and Mike Garry, Simon Day will also be performing as Yorkshire poet Geoffrey Allerton. With a mixture of his classic verse, extraordinary new material, hilarious ponderings on modern life, good honest gags, riffs and chat, the show is a chance to witness the bard of Salford at the top of this game. So what’s next, a book or album or both? I’m half way through the next book and have done an album of quite obscure cover versions which is nearly finished. I’ve also just finished a version of MacArthur Park with John Cooper Clarke which he actually sings on and does so brilliantly. 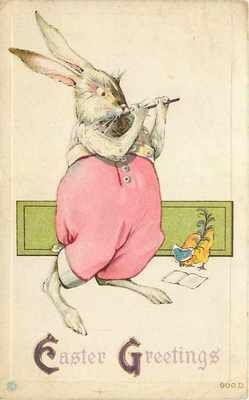 I thought it was about time for a remake of that song and we’ve also got Ian Anderson from Jethro Tull on flute. We’ve just been in Los Angeles shooting a film for it in the actual MacArthur Park but it won’t be released until the film is ready in the spring. Then I’ll start working on a new album. I think Macarthur Park is actually one of the best things I’ve ever done and I didn’t even write it. ...Those who have attended this tour will have heard the version of MacArthur Park playing through the PA before he takes the stage and I have a feeling it may well propel him back into the centre stage where he belongs. Not before time as Hugh Cornwell continues to prove that he is one of this country’s great artists and 2015 looks like a great year. Wow...Cornwell and Anderson....me and David Rees in heaven. 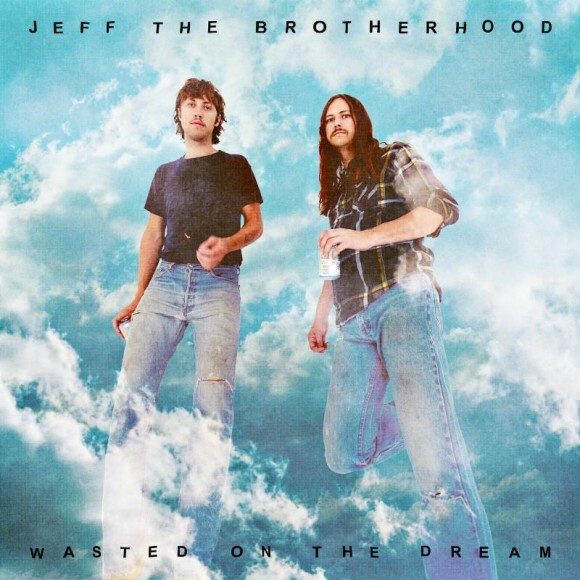 “Recently, I haven’t been able to stop listening to Jeff the Brotherhood’s most recent album, ‘Wasted on the Dream,’ ” she said. “Ian Anderson from Jethro Tull is on a track and does a kick as flute solo! At long last, our new music video Cry to the World filmed in the UK July 2015, with the soundtrack featuring Ian Anderson of Jethro Tull on flute. We will be performing this song at our upcoming shows at The Keswick Theatre, The Birchmere, The Newton Theatre and the Moody Blues Cruise. Please share with everyone you know ! Please share with everyone you know ! Music video produced by Paul Green Productions. Not a guest appearance where he's actually playing but being interviewed about Ritchie Blackmore. Amazing guitarist but I could never get into Blackmore's Nights - if you see what I mean. This is medieval rock gone cheesy and lightweight. Just a personal opinion... and open to discussion. I need to move to a country that gets everything...! The double concept album is the Detroit band's first release in eight years, and will feature guest artists such as Dream Theater's Mike Portnoy and Jethro Tull mainman Ian Anderson. Keyboardist Adam Holzman from the Steven Wilson Band, Miles Davis' jazz guitarist Mike Stern and Max Webster's lead vocalist Kim Mitchell will also appear on the album. Guitarist Chris Herin previously said: "We knew this album was ambitious, lyrically and musically, but we didn’t plan on it ballooning into a double album. The songs kept coming and the storylines demanded more trips into the central character’s state of mind. On April 15, finally the new album by the progressive rock band Tiles . It is a double concept album called 'Pretending 2 Run and appears in The Laser's Edge. The group from Detroit has so far released five studio albums and recently celebrated their twentieth anniversary. Since 1997 they work together with producer Terry Brown (Rush, Fates Warning) since '99 and also with art director Hugh Syme (Rush, Aerosmith). Also on "Pretending 2 Run 'are both from the party. Thanks to their breakthrough album "Presents of Mind 'Tiles if in 1999 with Dream Theater on tour. On "Fly Paper" (2008), no one played less than Rush guitarist Alex Lifeson it. Now, eight years later, comes the ambitious magnum opus of the band. "Pretending 2 Run 'is a concept album with one and a half hours of music. The song cycle promises to be an emotional journey that leads the protagonist of isolation for redemption. Today Tiles is a quartet with Chris Herin (guitar), Jeff Whittle (bass), Paul Rarick (vocals) and Mark Evans (drums). The guest list on "Pretending 2 Run 'is also impressive: Ian Anderson (Jethro Tull), Mike Portnoy (Dream Theater, Winery Dog), Adam Holzman (Steven Wilson Band), Mike Stern (Miles Davis), Kim Mitchell (Max Webster) Colin Edwin (Porcupine Tree), Kevin Chown (Tarja Turunen, Chad Smith), Max Portnoy (Next to None), Matthew Parmenter (Discipline), Mark Mikel (Pill Bugs), Joe Deninzon. 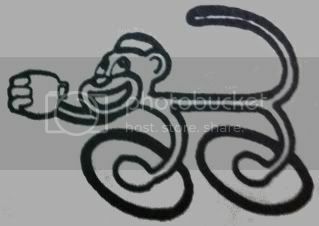 up tempo tune featuring Ian Anderson of Jethro Tull on flute. Richie B and his young girlfriend are the Paul and Linda of folk/prog ? I have to admit, he's not the worst guitar player ever. I think he found the singer girl in a long island high school. Laser's Edge presents the massive 2xCD Pretending 2 Run album from Detroit prog rock kings, Tiles, releasing the record worldwide today. Encompassing nearly one-hundred minutes of music produced by Terry Brown (Rush, Fates Warning), and with artwork by Hugh Syme (Iron Maiden, Rush, Dream Theater), Pretending 2 Run features guest musicians from such acts as Miles Davis, Dream Theater, Steven Wilson Band, Porcupine Tree, and more, including Ian Anderson of Jethro Tull. Last weekend, Tiles guitarist Chris Herin was able to meet up with Anderson in-person and supply him with some copies of the record. Herin offers, "Ian has been a Tiles fan since we released our third album, Presents Of Mind. Over the years we floated the idea of him making a guest appearance and eventually the timing was right. We sent Ian a moody atmospheric tune (Midwinter) and he wove some cool melodies in between vocal phrases; then cuts loose with his trademark flute improvising during the song's long ride out solo. I think I listened to it twenty times to make sure it really happened - what a thrill for us and what a generous gesture from an icon of progressive rock!" Pretending 2 Run is unquestionably Tiles' most ambitious project to date. Containing just short of one hundred minutes of music, the epic sees the band pushing their musical boundaries into new dimensions, and features a remarkable collection of guest musicians, including the first recorded father-and-son collaboration with Mike Portnoy (Winery Dogs, Dream Theater) and his son Max Portnoy (Next To None), the recording of which is documented in the trailer. As well as footage of Mike Stern (Miles Davis) recording his parts, other guests are also highlighted, including Ian Anderson (Jethro Tull), Adam Holzman (Steven Wilson Band), Kim Mitchell (Max Webster), Colin Edwin (Porcupine Tree), Kevin Chown (Tarja Turunen, Chad Smith), Matthew Parmenter (Discipline), Mark Mikel (Pillbugs), and Joe Deninzon (Stratospheerius). 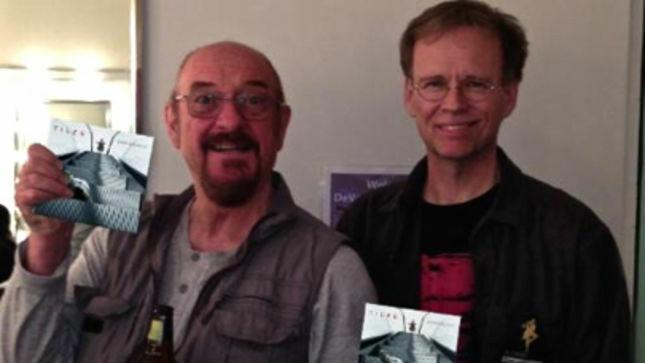 TILES guitarist Chris Herin presents Ian Anderson with his very own copy of “Pretending 2 Run”. The legendary Jethro Tull front man makes a guest appearance on the band’s new 2-CD concept album, released April 15th on the Laser’s Edge label.